Where can I find an apartment security survey form? 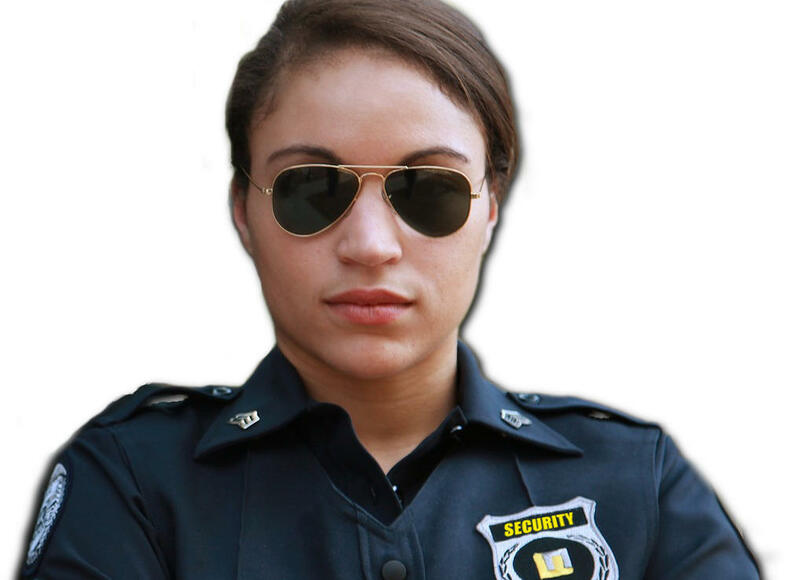 Private security professionals utilize an apartment security survey to catalog the security needs of an apartment complex. These surveys are commissioned by the property manager and can be used as a lead generation tool by security agency owners who are seeking to build a relationship with the property manager. The book How to Get Clients for Your Security Agency describes the strategy for winning clients by first offering them this complementary security survey. The book also includes a 15 section “multi-residence and apartment survey form” in PDF format. Readers are invited to modify the form to fit the needs of their use case. You can get the survey form by downloading the book. You may also download a partial sample of the survey from this page. The book goes to some length to explain best practices for conducting and submitting the survey. In part, it reads as follows. Do not attempt to carry out a survey until you can articulate the reasoning behind each component of the survey. Based on your experience in the industry you have likely already become familiar with many of these items but you may find that you need to brush up on some of the terminology through online research. Additionally there are various training programs and certifications which will enhance your credibility. Consider signing up for the SecurityOfficerHQ.com “Security Survey Training Program.” Availability is extremely limited so reserve your place ASAP. Become familiar with professional-class standards. For example, you may choose to become an expert on lighting standards. The Illuminating Engineers Society (IES) publishes a handbook of lighting standards. Your knowledge of these standards will prove helpful as you complete the lighting section of the survey. Recent versions are rather expensive so you may want to search local libraries or purchase a more affordable albeit dated version online at Amazon or eBay. It’s also a good idea to become familiar with local city ordinances as they pertain to lighting, alarm systems, fire safety standards, signage, fencing and landscaping and other items in the survey. Most cities publish these ordinances online and your knowledge of them will impress the target. Let’s take a quick look at each section of the survey. This contains the who, where and when of the survey. 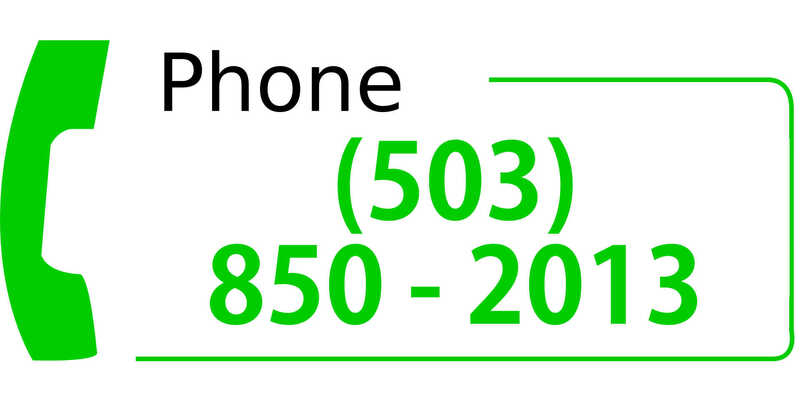 It’s an opportunity to prominently list your phone number and contact information. 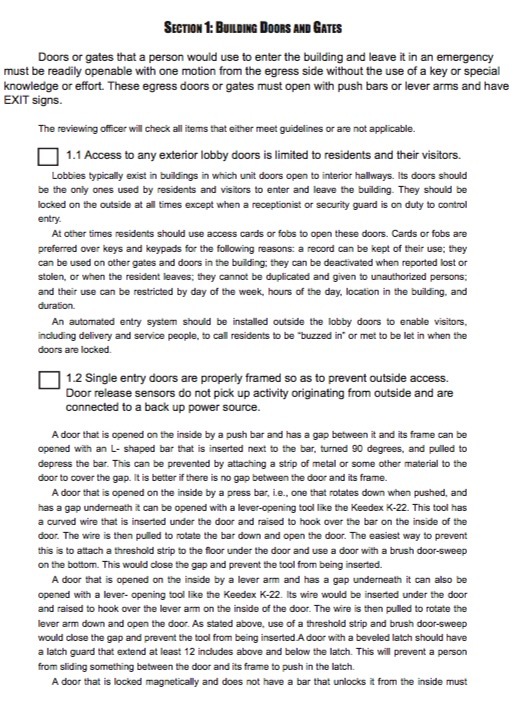 This seven item list surveys the security of various access points into the complex’s buildings. This includes the lobby of the buildings but does not include the doors to individual apartment units. This section reviews the security of the access points to single apartment units. This accounts for access control coming in and out of the stairwells. It also considers the integrity of emergency egress doors at the bottom of the stairwells. The reviewing officer utilizes this area in the survey to grade the parameter access by both foot and vehicle. Listed locations include laundry rooms, storage lockers and common areas. Additionally the officer should ensure that utility infrastructure rooms are hardened against theft and attack. Both interior and exterior lighting is graded in this section. Defensive plants, decorative but potentially weaponized rocks and minimization of hiding/ambush locations are accounted for in this part of the survey. Emergency responders depend on well-maintained unit numbering and this section tests for proper signage and addressing. It’s a seven item checklist covering everything from carports, parking lots and garages to towing and visitor parking signage. Here the reviewing officer denotes items such as graffiti, junk and security obstacles in the alleyways. This single item checklist ensures the presence of access control signage that is in compliance with local ordinance. The reviewing officer takes note of the complex’s video recording and retention capabilities and policies. Herein lies a key component of apartment complex security policy; are the policies and regulations well-constructed, simple and easy to understand and consistently enforced? Property management is right to properly identify and vet each contractor. Additionally, it’s in this section where the reviewing officer notates whether or not a private security firm is under contract. The reviewing officer enters his observations within this section. He may choose to focus on the items in the survey that were not checked and make his recommendations. As this section is at the back of the report, it’s easy for the officer to attach additional pages of notes if needed. Let’s examine the completed sample survey. This sample survey has been submitted by the hypothetical Jacksonville Security agency on behalf of the Riverside Apartment Complex. Take a look at the cover page. It includes the basic information that one might expect from a cover page such as data, address of the target’s property and the name of the officer who completed the survey. Take note of the three-paragraph statement at the bottom of the page. It lends credibility to the survey. It explains the origin of the survey material and lends comfort to the reader; this material is publicly available and has been developed by security professionals. Also take note of the security officer’s phone number. It’s his goal to entice the property manager to place a follow-up phone call as quickly as possible. Now, peruse the interior pages of the report. It’s rather simple. The officer checks the boxes when the conditions have been met. He leaves the boxes blank when the property does not meet the criteria. What about the instances when the conditions are not applicable? What if the apartments do not have sliding glass patio doors? In this instance, even though there are no sliding-glass doors, the officer has checked the box. It’s the officer’s goal to simplify the “needs improvement” list to a set of easy-to-understand items that will be easy for the property manager to understand and to benefit from. By checking the box he is eliminating this item from the “needs improvement” list. This informs the reader of these criteria and establishes very clear expectations. 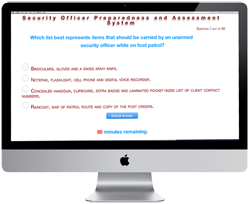 In our sample survey several of the items are not applicable; nonetheless, the officer has checked them so that he can generate a streamlined list of needs improvement items that he will summarize Section 15 -- the notes section. Go ahead and scroll down to Section 15 and read over the officer’s notes. Several items on this report are not applicable. I have checked those items in order to eliminate them from this review. The following are the items that were not checked and the reasoning. 1.3 - The entry doors into units D, G and L no longer have the originally installed metal framing. It appears to have been removed and these doors are now vulnerable to manipulation from outside of the door. 1.7 - Local public safety officials have not been provided with emergency access codes to the vehicle gate. It’s recommended for emergency codes to be created for local police, EMS and fire. The departments will place this code on file so that their dispatcher can provide it to them in the event of an emergency. 4.2 - The swinging vehicle access gates are easily breached by unauthorized visitors. Unauthorized visitors are frequently observed tailgating an authorized vehicle into the complex. Residents should be encouraged to report instances of tailgating. 5.7 - Each building stairwell has a ladder that leads from the top landing to the roof of the building. The ladder is accessible to unauthorized persons and the roof cover padlock is easily cut. This is the only barrier to direct access to each unit’s expensive HVAC units. Retractable ladders would discourage these intrusions. 6.2 - The interior lighting is in place, so this item is checked, however several of the lights have burnt out and need replaced. 9.7 - Towing signs do not cite the municipal ordinance that allows for the towing of unauthorized vehicles. I have attached the pertinent ordinance to this survey. 12.2 - Video analytics are not in use at this complex. The cost of this technology continues to decline and a list of vendors has been attached to this survey. 13.2 - The property manager indicates that a crime-free lease addendum has been utilized in the past but has been mostly discontinued since a management change occurred two years ago. A proposed copy of the addendum is attached. 14.1 - This site does not employ a security contractor. Additional information regarding affordable security options has been attached. Take special note of the tendency for the officer to provide assistance regarding the deficient items. He’s here to provide solutions and to do it in a way that does not break the bank. The property manager isn’t likely to appreciate an expensive to-do list, or a survey that simply cites a bunch of problems without some specific suggestions for improvement. The officer has also taken note of the complex’s failure to hire a security contractor. He’s used this as an excuse to tender an offer but he isn’t too pushy and has included the term “affordable” in this text. More on that later. Upon completing the survey the officer will review it in person with the property manager. He will walk through each section of the report and explain his recommendations. During the review he will go to great lengths to compliment the property manager on the items that are checked. Tip! Go above and beyond! Develop additional value-add processes that you can provide in addition to the basic survey. Here’s an example: conduct interviews with tenants of the property. Ask them for their insights on the status of security at the complex. Does management take their concerns seriously? What are some of their suggestions for how the security of the property could be improved? You can then accumulate the best of these suggestion into an auxiliary report and attach it to the survey. This is just one example of how you can go above and beyond and impress property management. Download a PDF sample copy of the apartment complex security survey form. 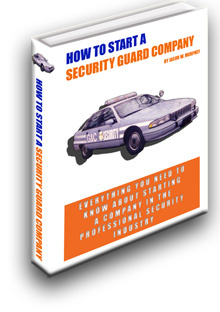 Are you ready to get your copy of How to Get Clients for Your Private Security Company? 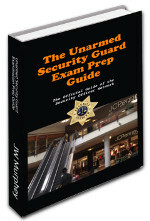 Download this more than 100 page ebook from the Security Officer Network by clicking here.